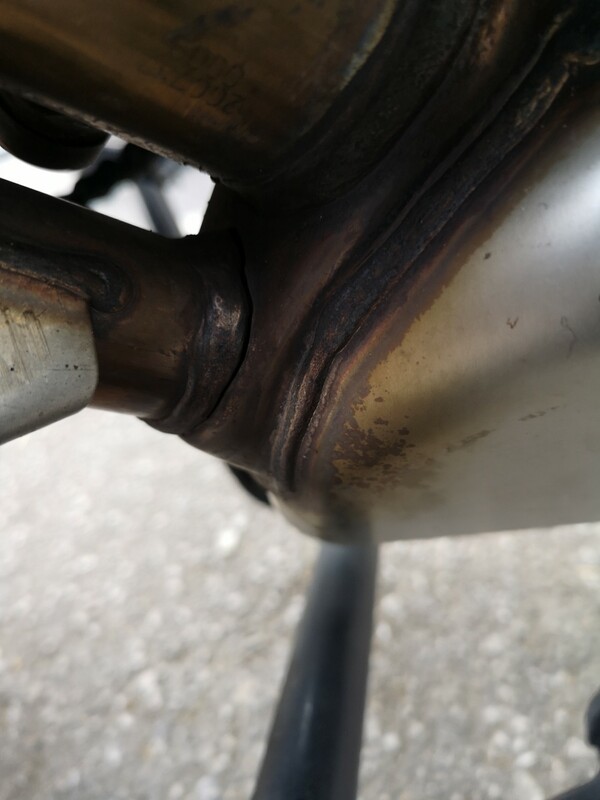 Looking at my bike while my dad was sorting his luggage out on his bike minutes before leaving for France, I noticed a massive crack in my exhaust. The bike has never been off road involved in an accident and is only 7 months old. Cancelled holiday took bike to BMW no exhausts in the country will be replaced by the middle of next week. Any ideas what might have caused this I'm stumped? nasty but why cancel holiday it would have just made a bit of noise surely? 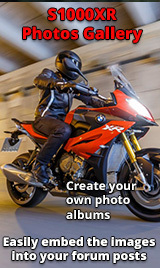 Plus if it's 7 months old and no exhausts are in stock the dealer should give you a loan bike! I did get a loan bike but it was to late in the day. Unless it’s a common point of failure due to a design issue, I would guess that it was a manufacturing defect in the weld. Unless it was a short trip or something that could easily be postponed, I don’t think I would have cancelled my holiday though. Its a bit of a bummer really. My self I would have done a weld repair if I needed the bike. Let us know what BM say. Bugga, I have a good stock set hanging on the wall of my shed, I have fitted a set of Arrow headers and have no use for the originals. Trouble is, I'm in Sydney.. I have concerns over the quality of some of the parts fitted, including my exhaust where the welding of the support bracket to the exhaust looks like it has been welded by the apprentice. Holding fine but looks poor. BMW needs to improve its quality control. that's just dam bad luck, I know this does not help now but I keep some epoxy metal repair putty JB weld in my tool kit on the bike. it a small tube which you just mix together and spread on with either your finger or a flat screwdriver, it sets in like10 minutes so good for the roadside repair. I have used it in the past to repair exhaust stud holes and a crank case's on my other old bikes and used it on one occasion an a mates radiator after he dropped the bike and split the rad the epoxy metal repair putty held which go us home. Good luck getting the exhaust sorted.